ISLAMABAD - Prices of LPG have been reduced. 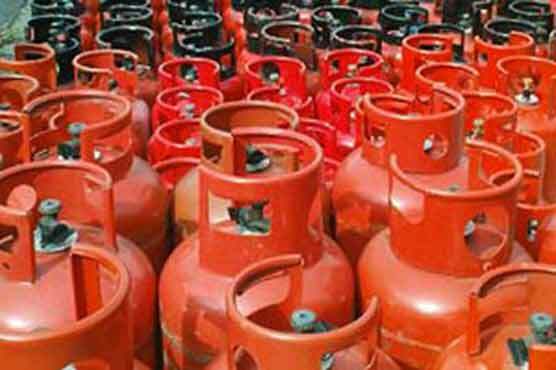 Chairman LPG Distributors Association said LPG prices of July 13 have been restored. He said the prices have been fixed at 90�842 rupees per metric ton. He said accordingly� price of an LPG cylinder will be Rs. 120 per kg in Karachi� Hyderabad and Sukkur. Domestic cylinder in these cities will be available at Rs. 1�390. And in Lahore� Gujar Khan� Jhelum� Islamabad� Faisalabad� Multan and Dera Ghazi Khan a cylinder will be available at Rs. 125 per kg. The price of domestic cylinder in these areas would be Rs. 1�459. Meanwhile� in Gilgit-Baltistan� price of LPG will be Rs. 140 per kg and domestic cylinder would be available at Rs. 1�630.